What many people don't know is that the 100th/442nd was a segregated Army unit composed entirely of Japanese Americans, mostly volunteers. While the soldiers of the 100th/442nd bled and died for America, many of their families were held in internment camps established by their own country. After Japan attacked Pearl Harbor, the U.S. turned against Japanese Americans overnight. More than 100,000 of them were sent to camps, on order of President Franklin D. Roosevelt, even though the majority were American citizens. The only organization that fought against the internment was the ACLU. In the end, the Supreme Court ruled in the Korematsu case that the internment was legal. As it turned out, not a single Japanese American was convicted of espionage against the U.S. In fact, not one was even charged with the crime. Nevertheless, the soldiers were eager to prove their loyalty to their country. They ended up fighting in Europe and the Pacific, liberating towns and rescuing other American units. In the process, they earned the highest casualty rate. For people who are located in the Los Angeles area, there will be a festival this Saturday, May 28th, at the Go For Broke National Education Center in the Little Tokyo district. The festival features the "Defining Courage” exhibition, which centers on the Japanese American World War II experience. 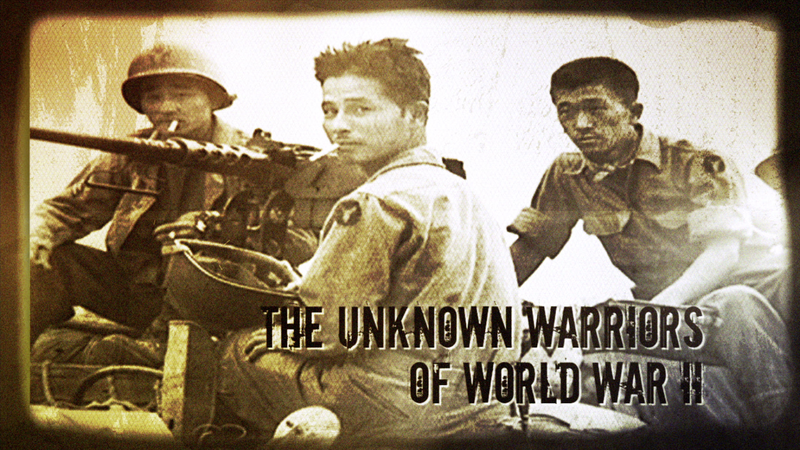 In particular, there will be a special screening of the documentary film Unknown Warriors of World War II, focusing on the soldiers of the 100th/442nd. (The documentary is also available online at the link above.) A Q&A session with Director/Producer David Ono will follow the screening. This coming Monday is Memorial Day, the day of remembrance for Americans who died while serving in the military. The festival is a timely opportunity to learn more about this moving and fascinating period in U.S. history. *Tips hat* I wonder how many of them are still alive? We went to the graveyard yesterday (Memorial Day tradition.) I found a stone marked "Spanish American War." You don't see too many of those. One of my dad's cousins died in Vietnam. He was 17. They let you join at 17 if your parents sign a waiver, but they're not supposed to send you to combat areas. His mother never forgave herself for signing that waiver and died of grief. The family is still sad over the whole affair. And his name isn't on the Vietnam Memorial. If he died in while serving the US military in Vietnam, why isn't his name on the Memorial? On a side note, do cemeteries keep their graves forever? If so, wouldn't we have run out of space by now? I wonder about that, too. I know in some areas "reburial" is common, but Westerners seem to invest in really heavy-duty caskets, which seem meant to be pretty permanent. But then how do we not end up with graveyards everywhere?